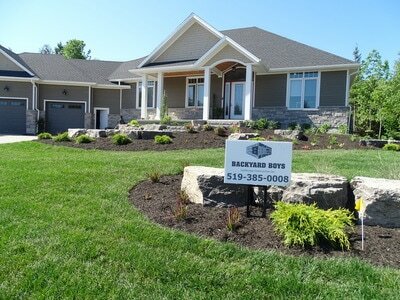 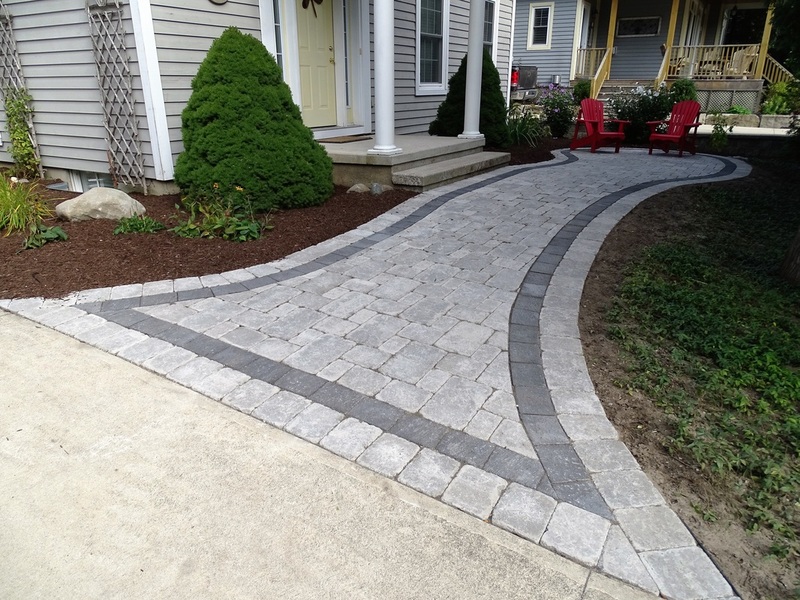 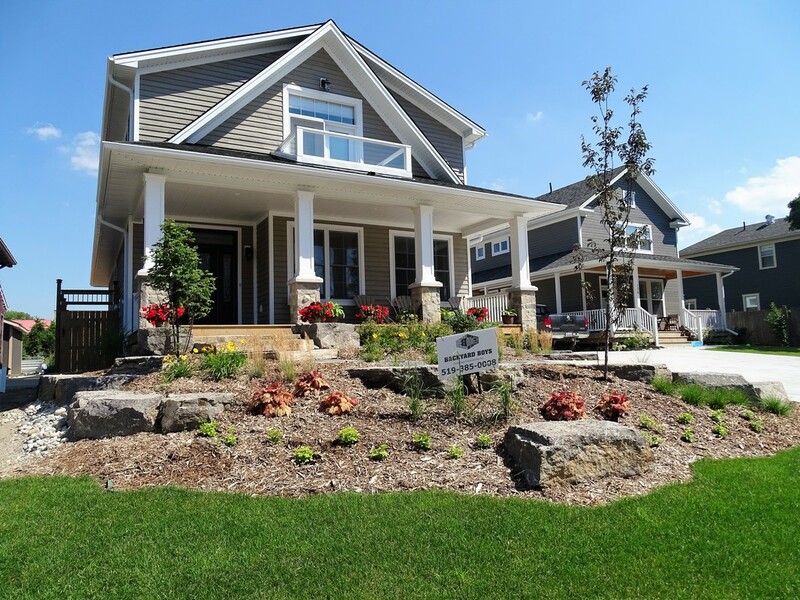 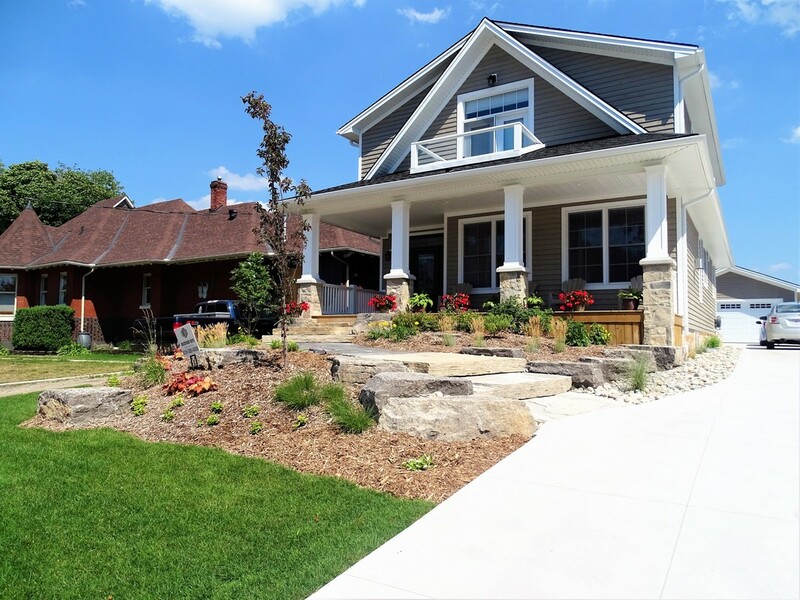 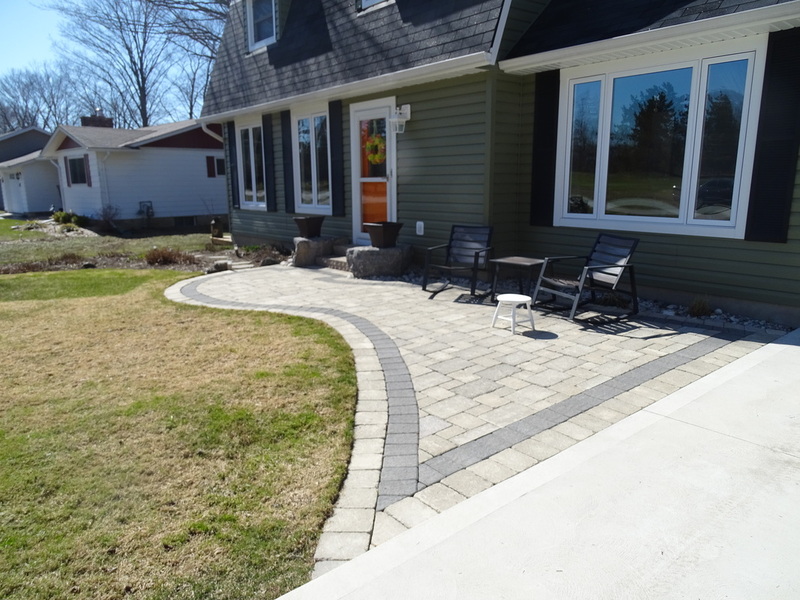 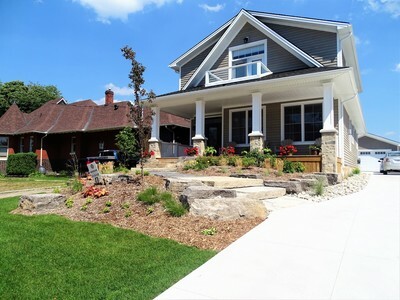 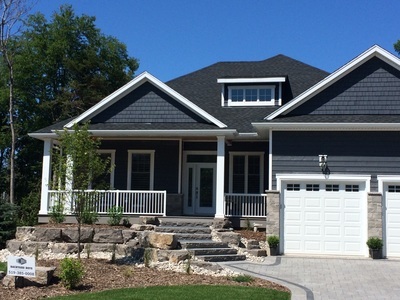 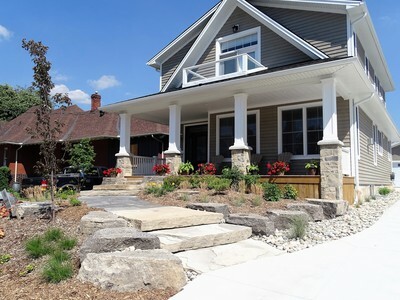 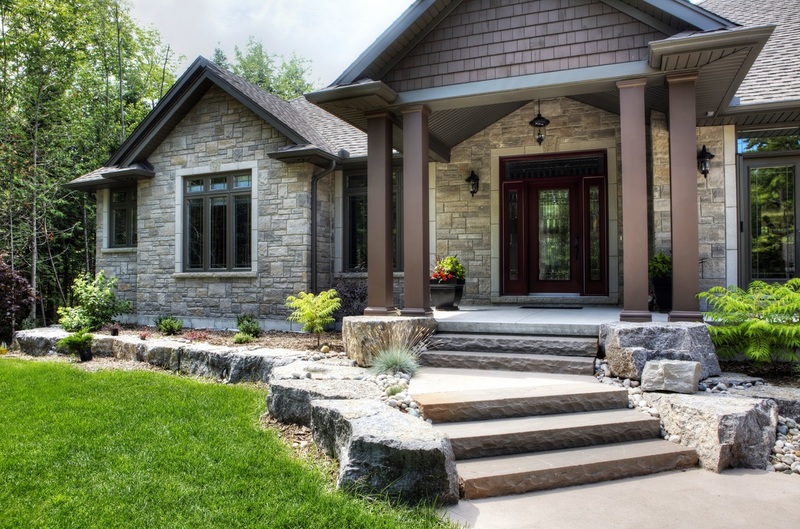 Your front entrance says a lot about your home. It is your chance to get creative and show off your style without stepping foot inside. 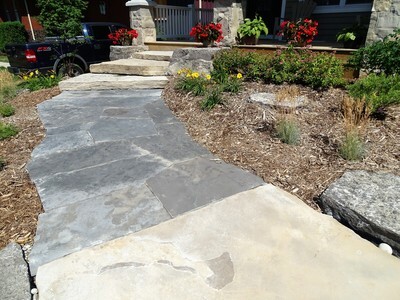 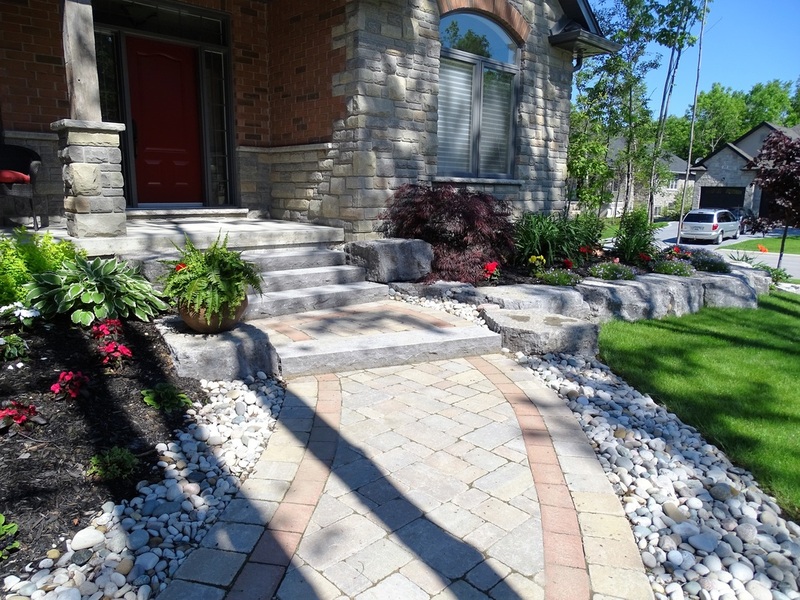 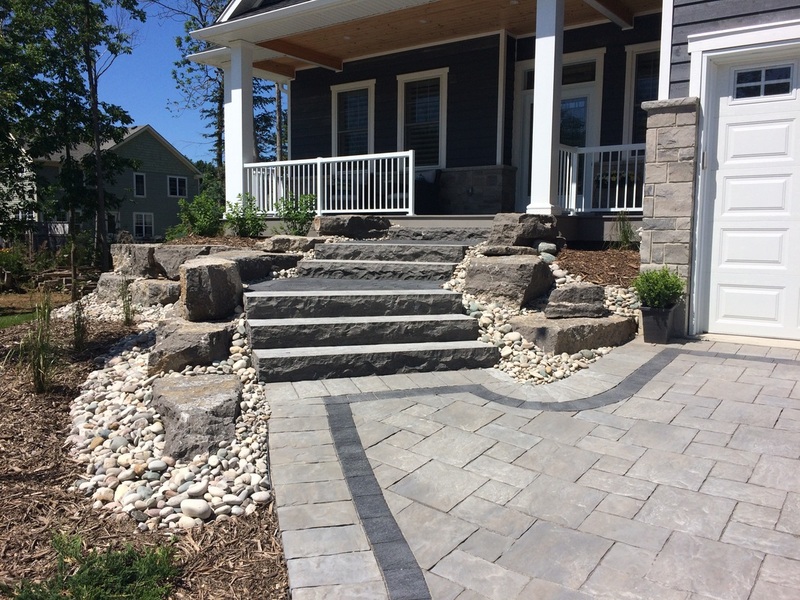 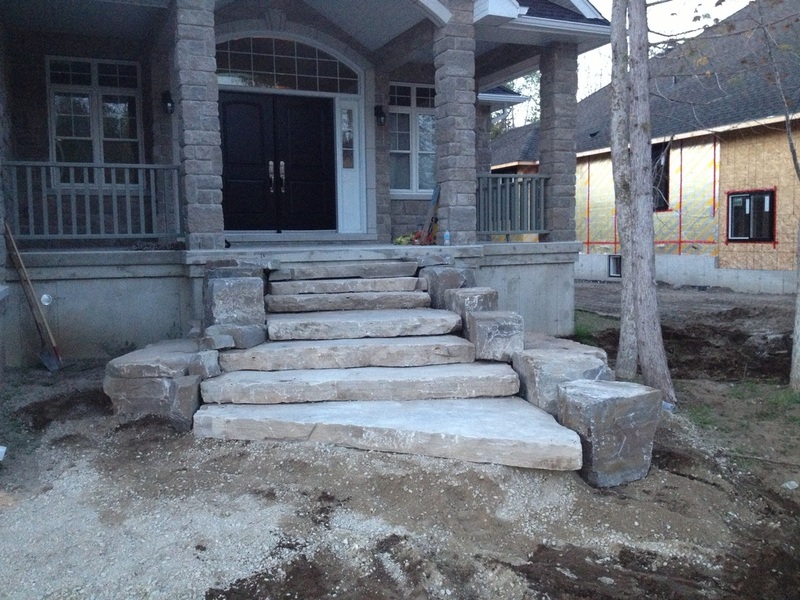 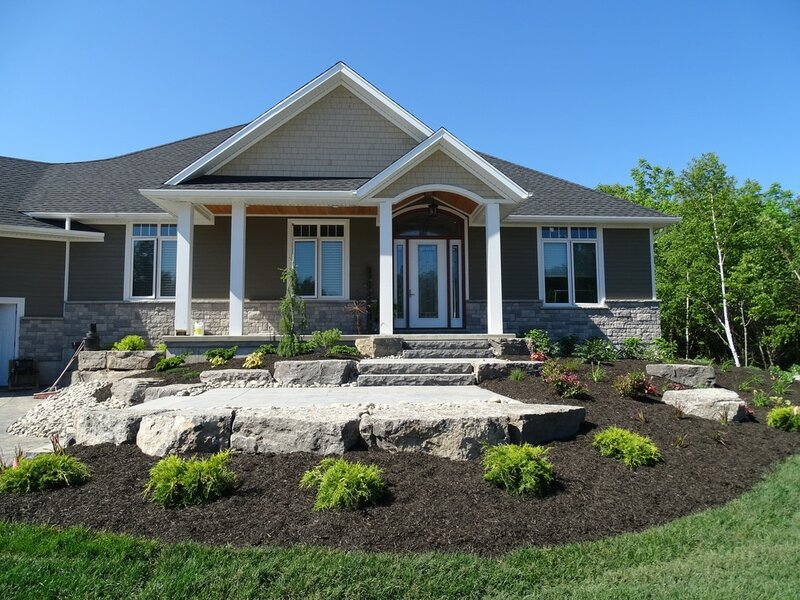 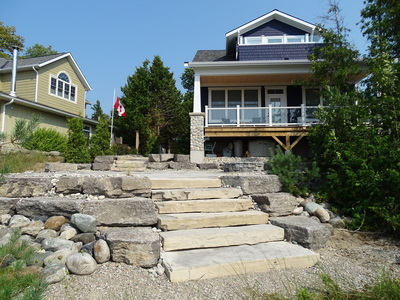 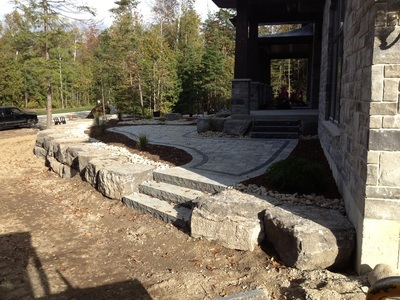 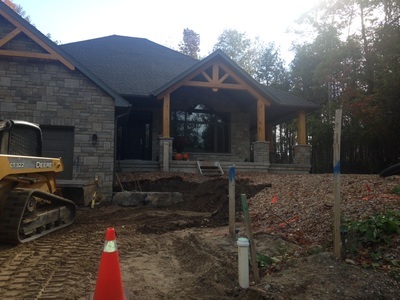 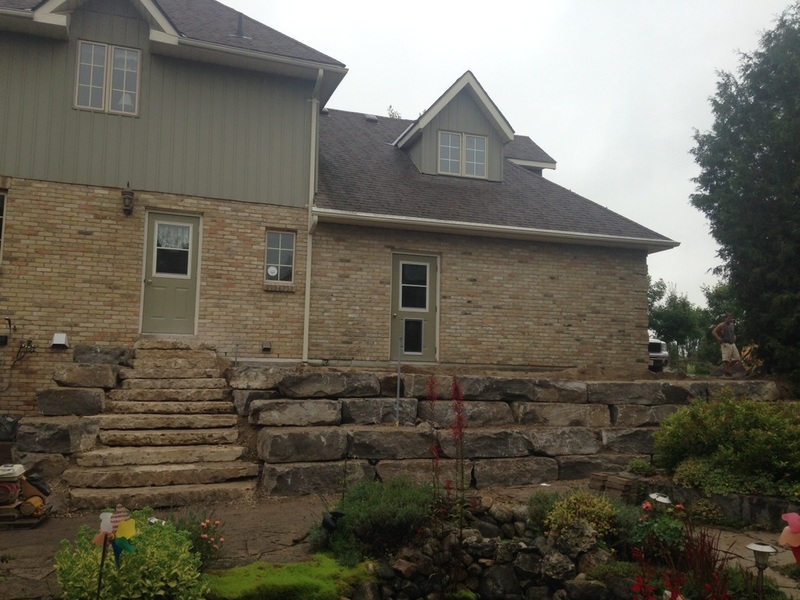 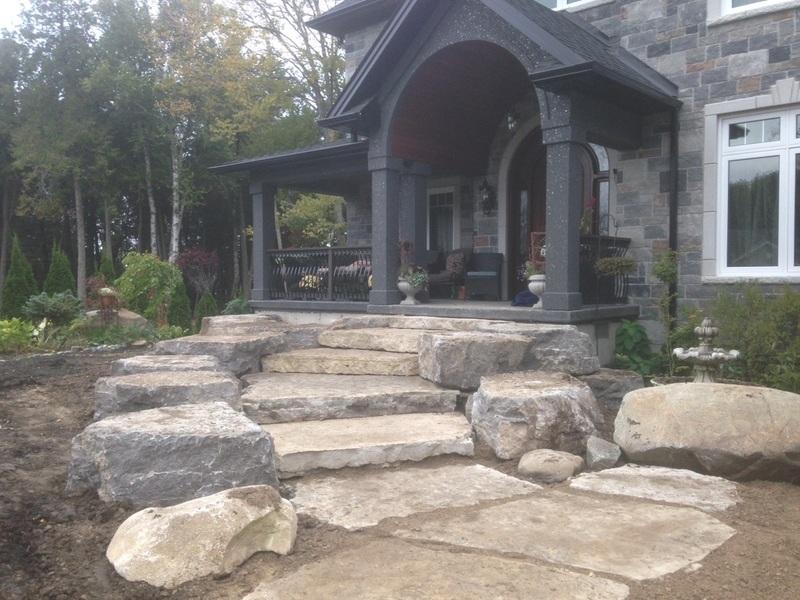 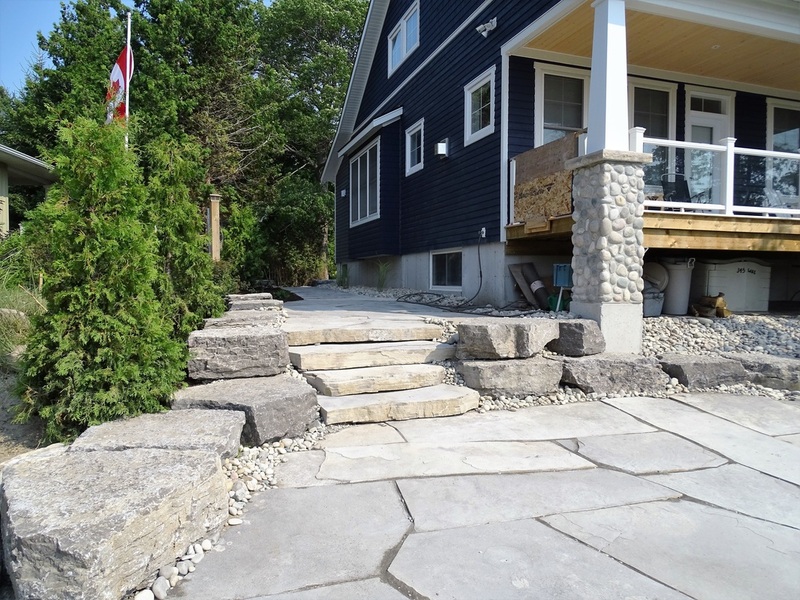 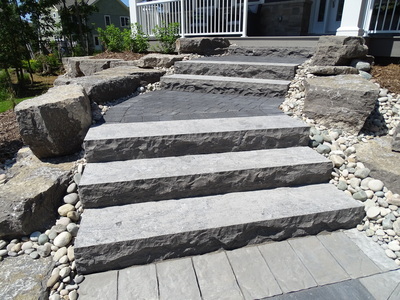 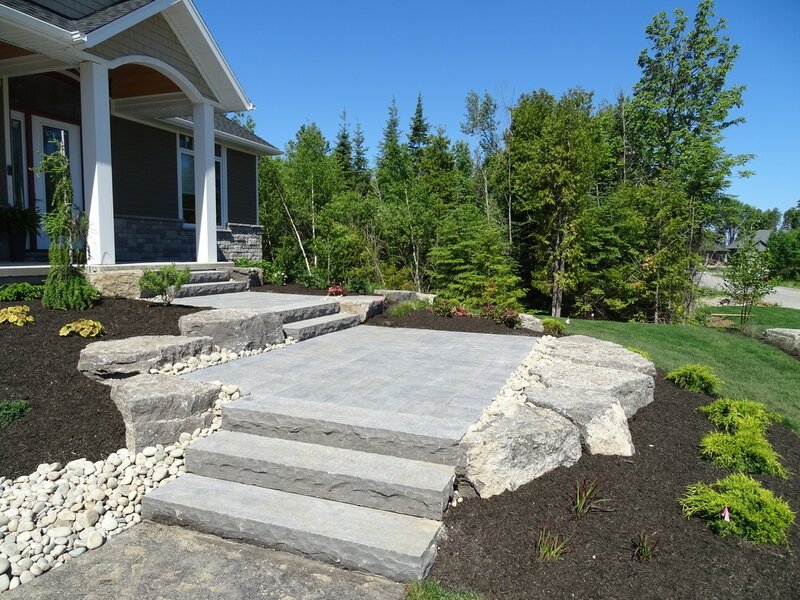 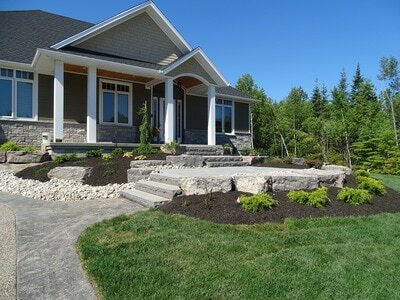 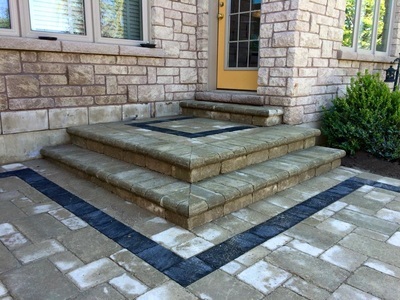 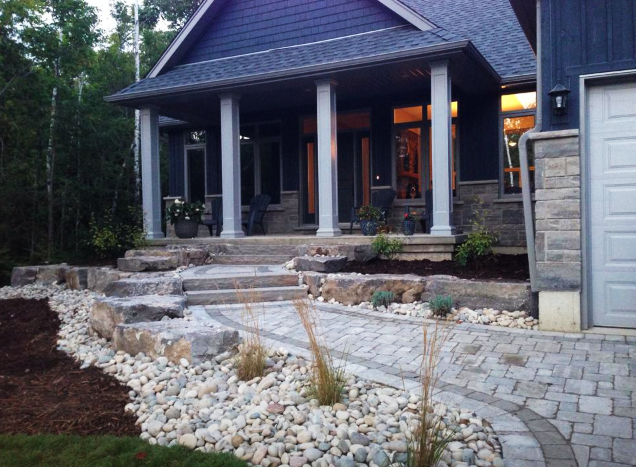 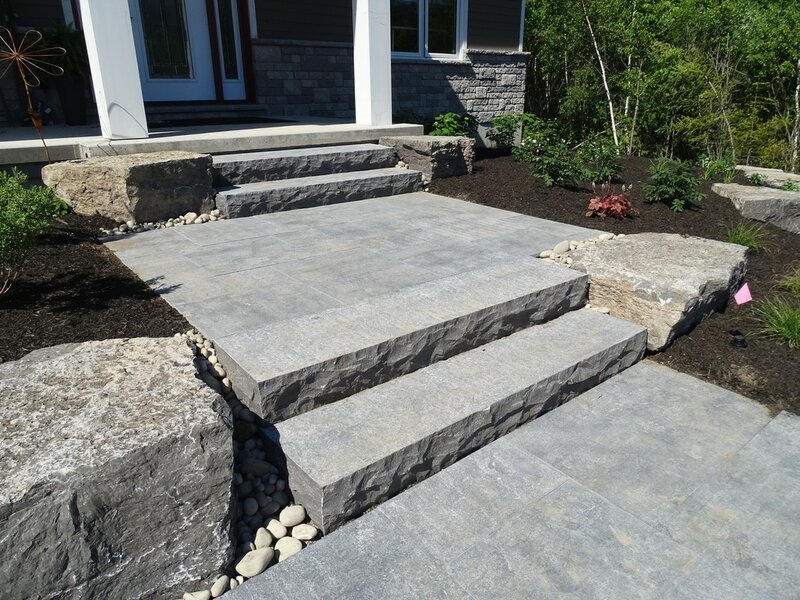 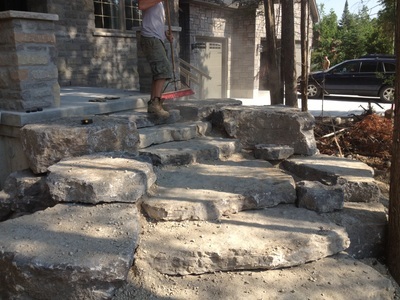 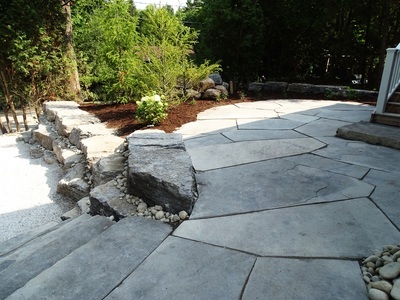 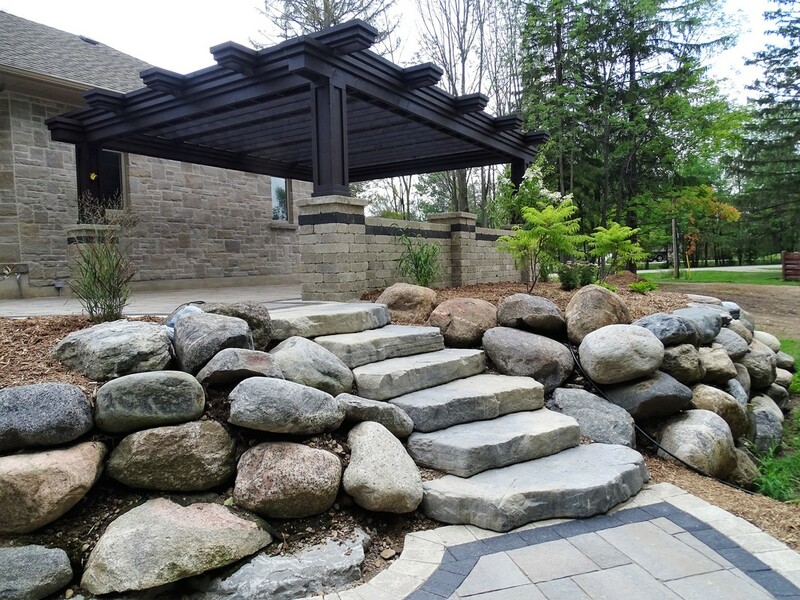 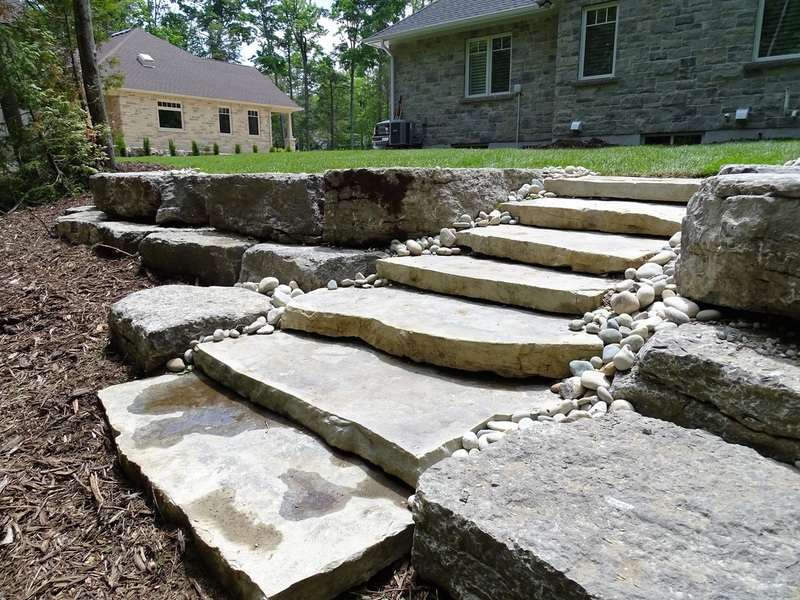 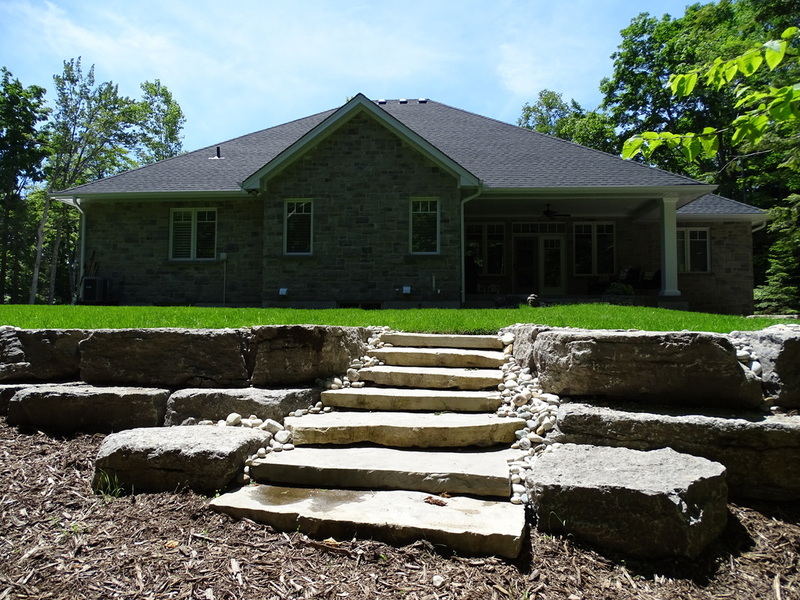 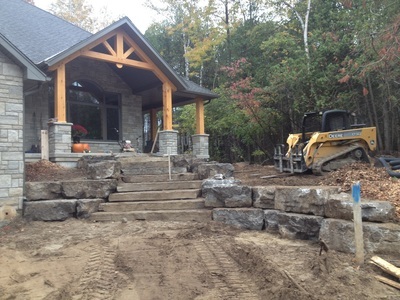 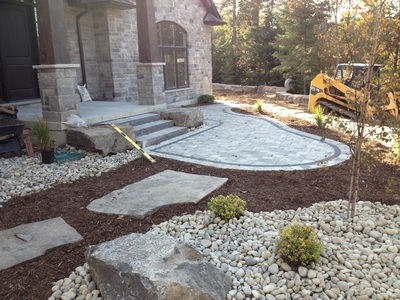 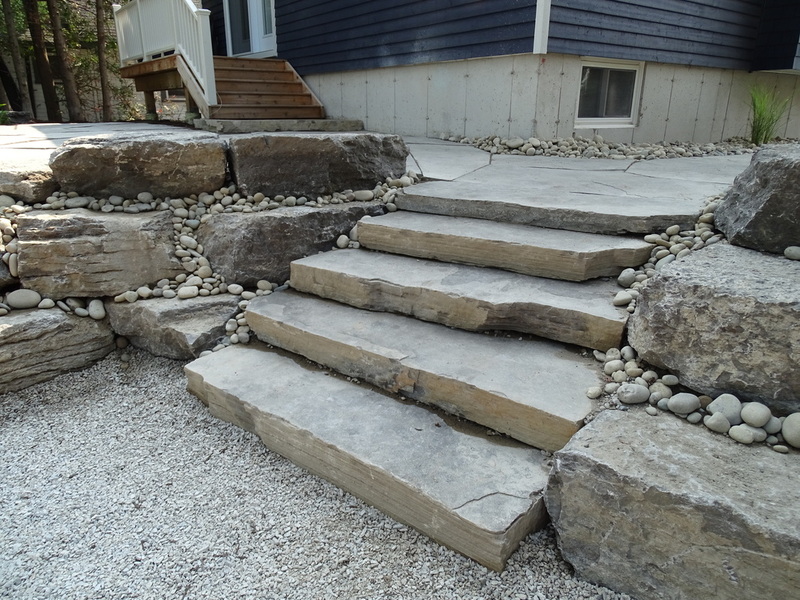 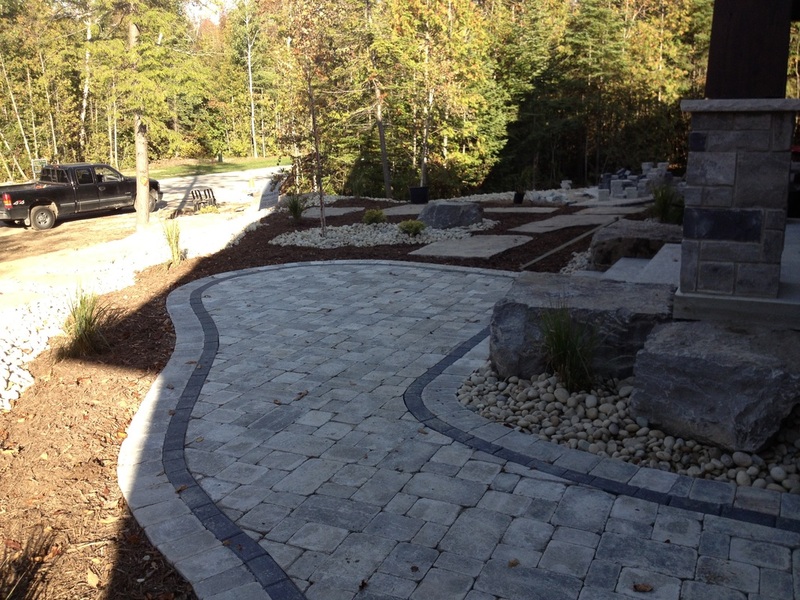 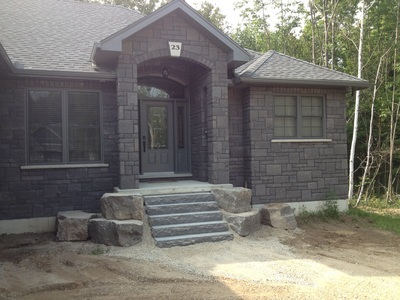 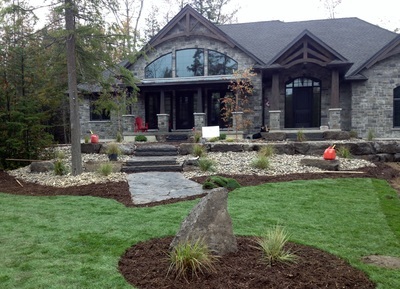 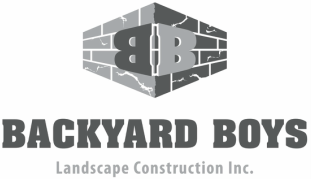 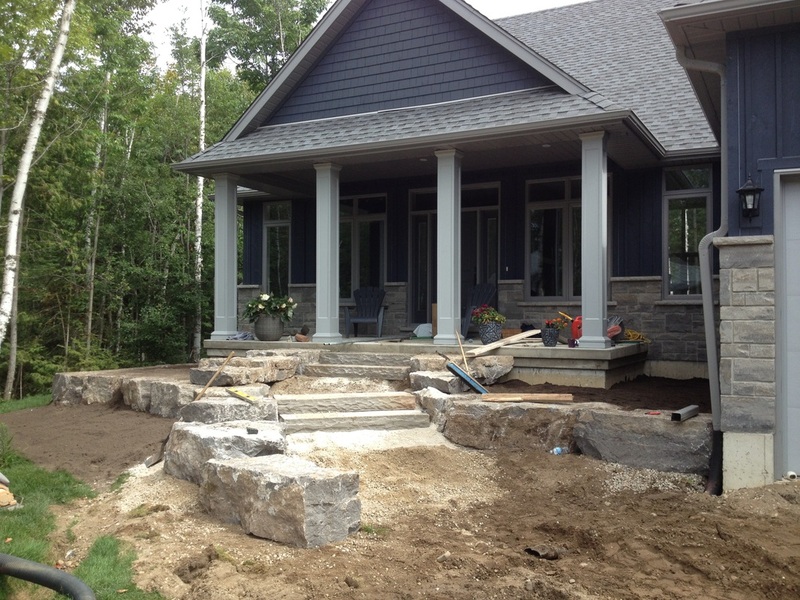 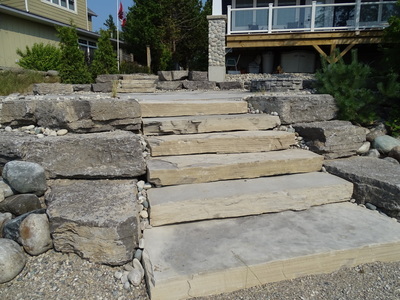 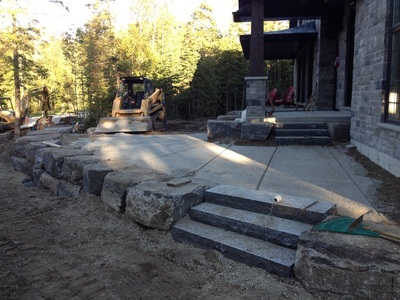 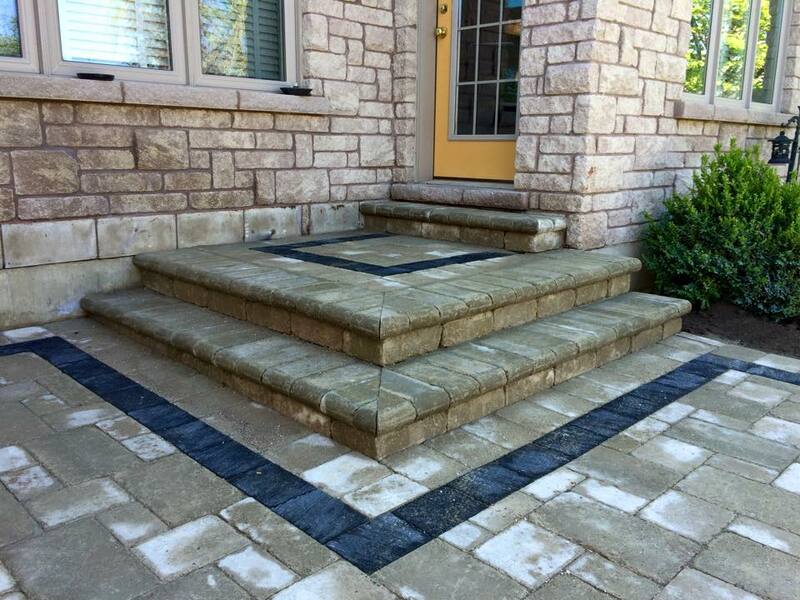 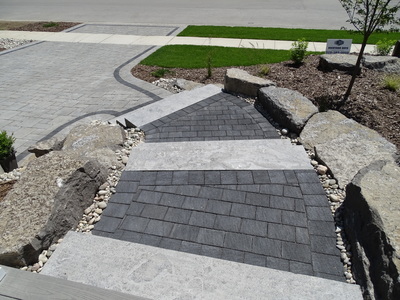 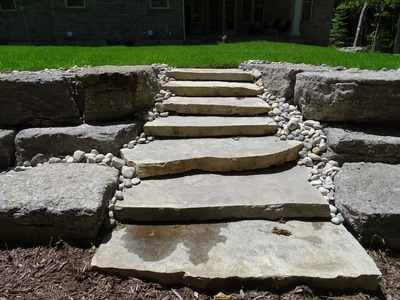 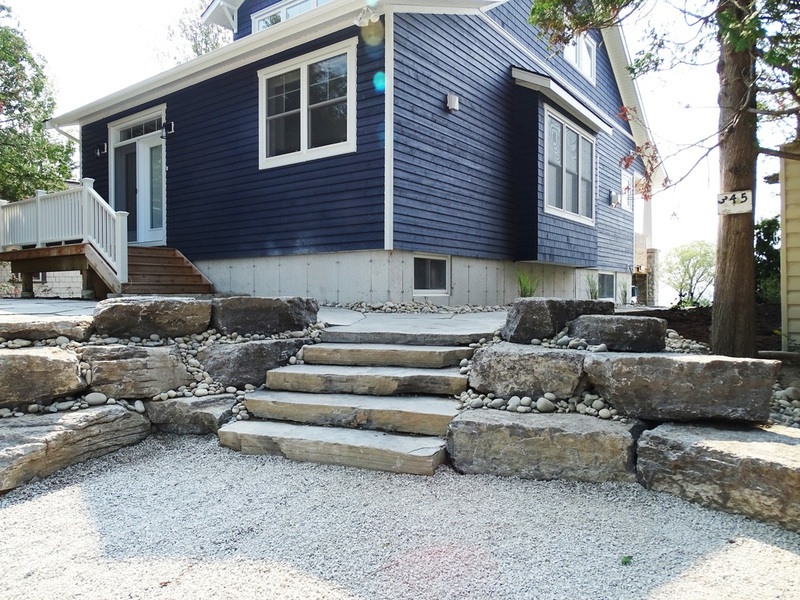 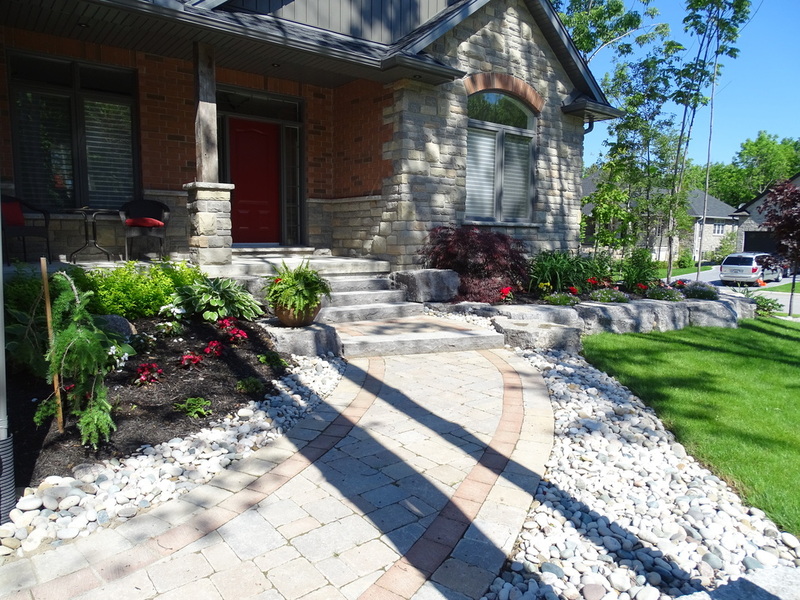 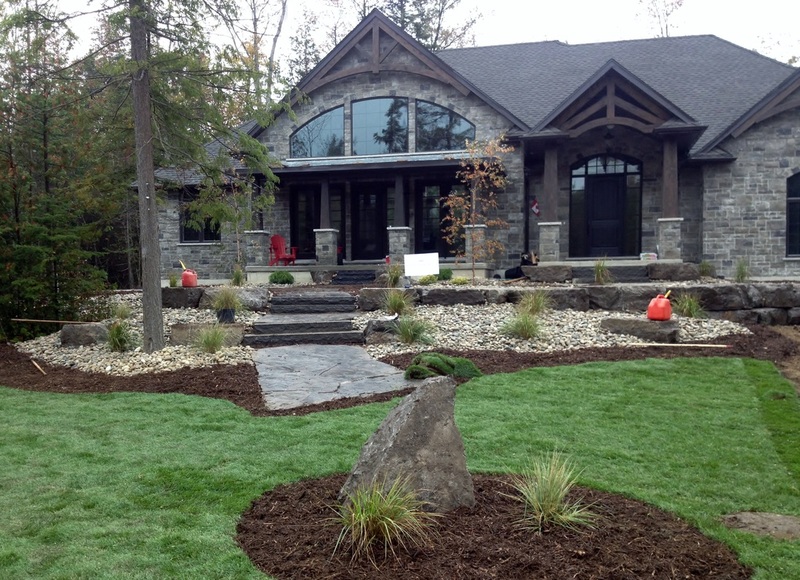 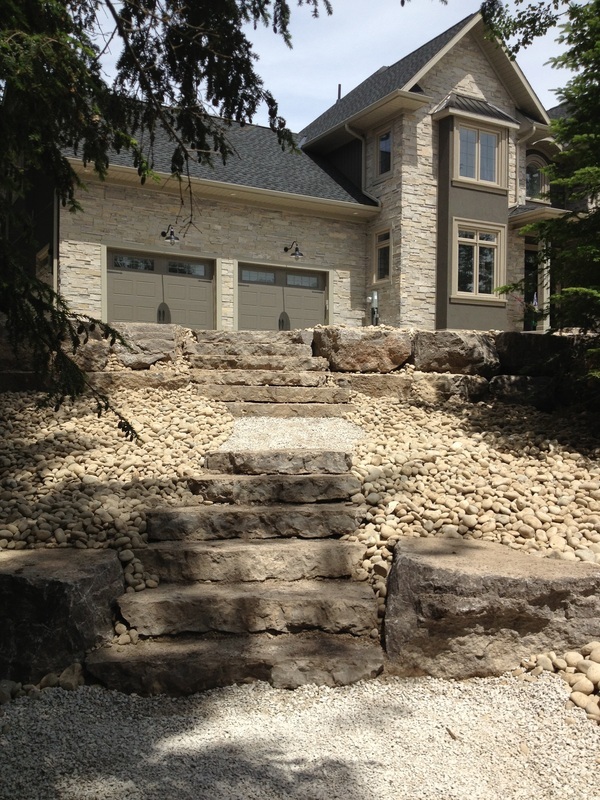 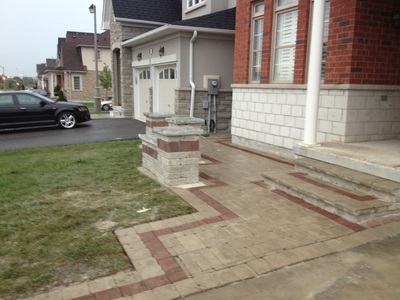 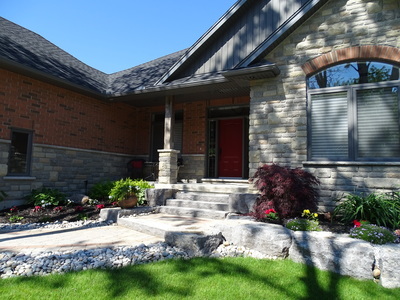 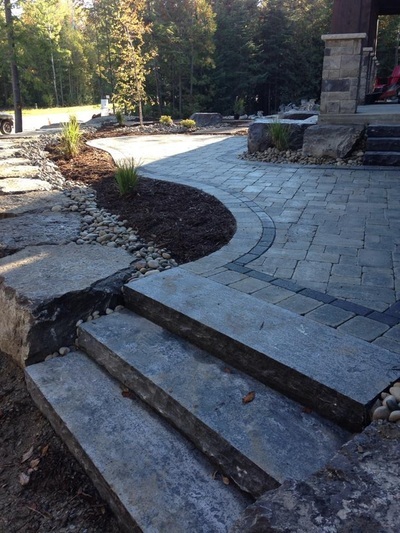 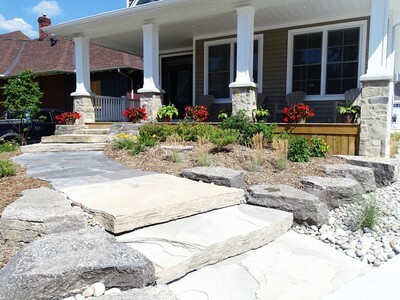 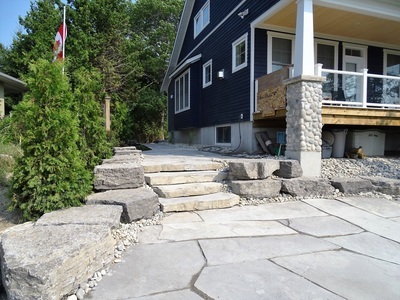 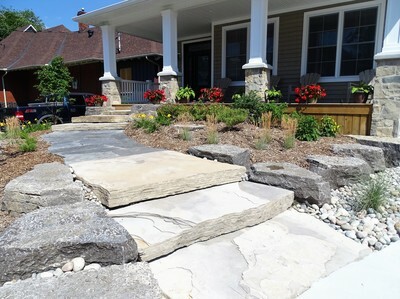 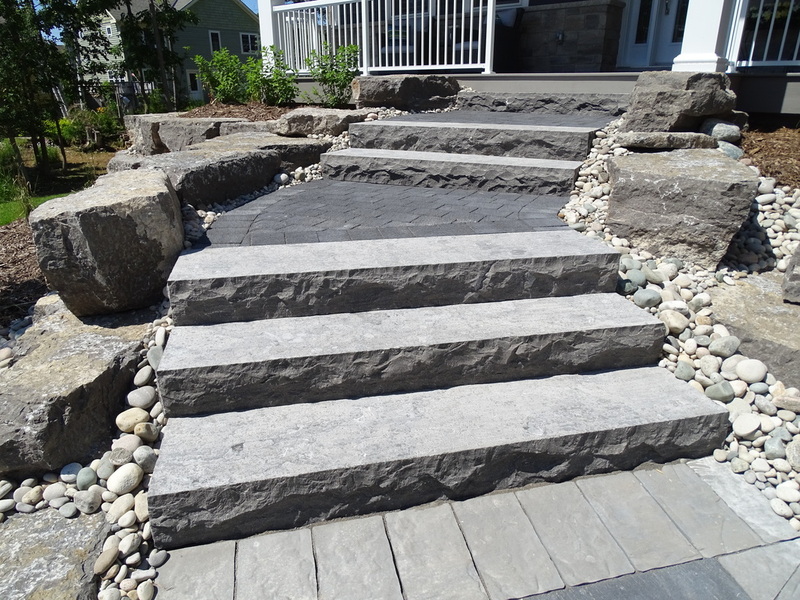 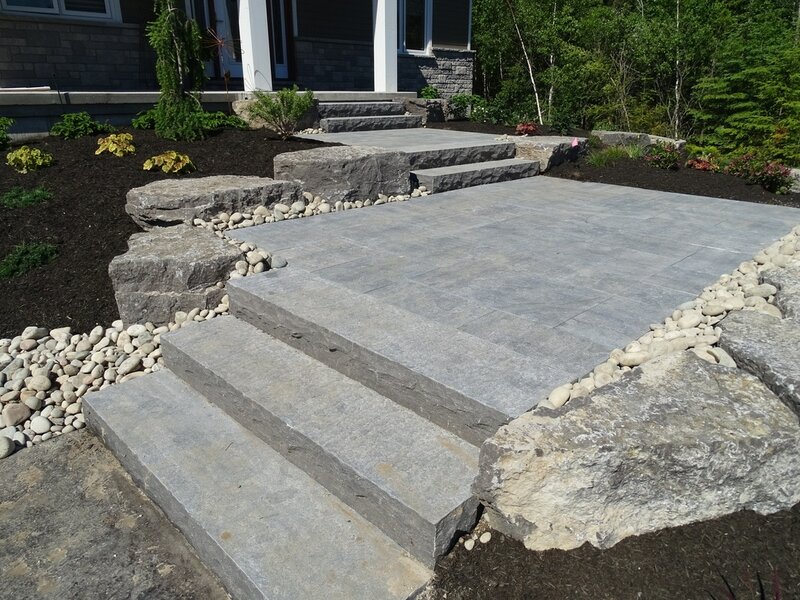 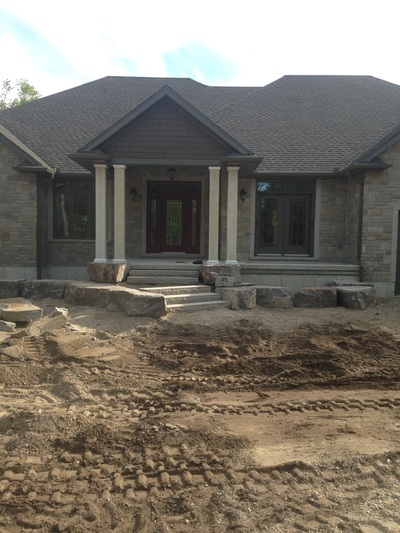 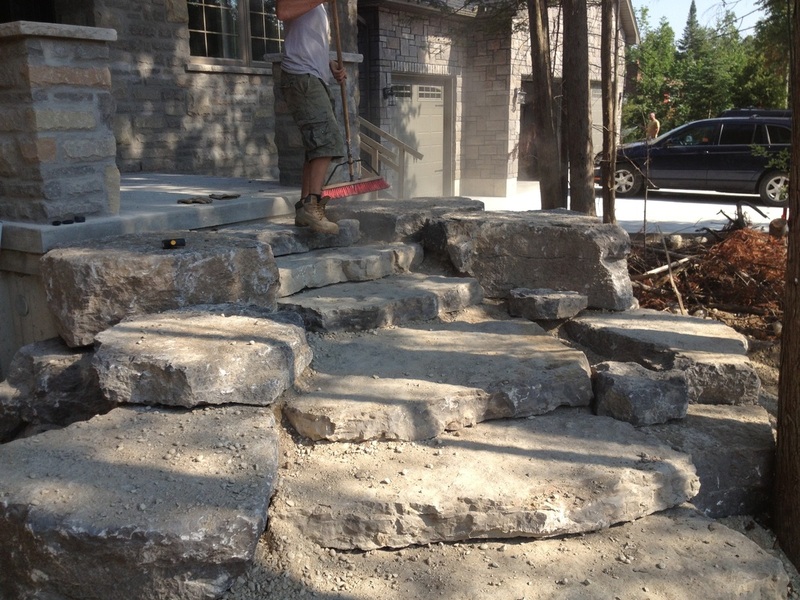 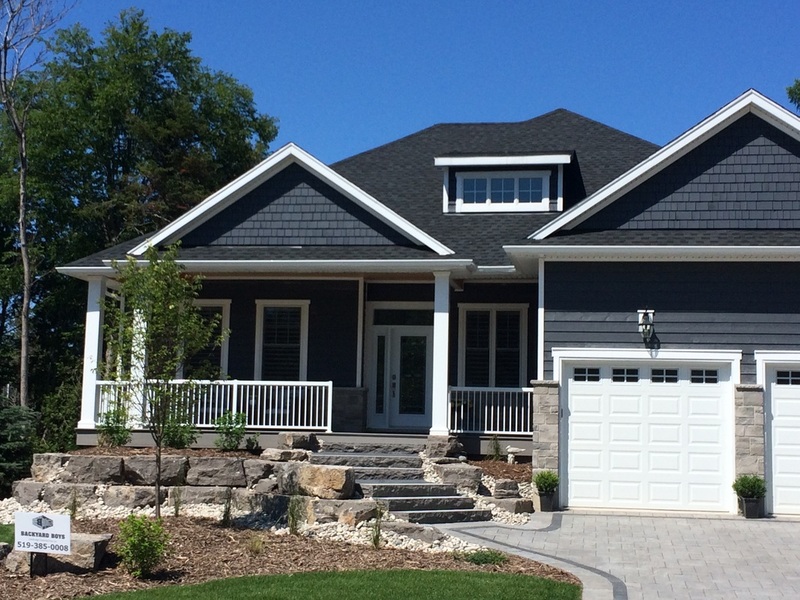 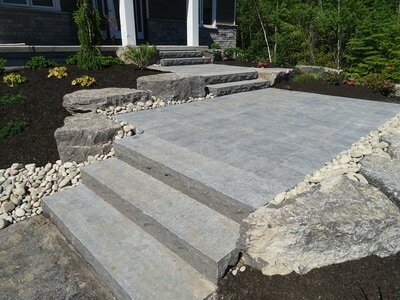 Whether you choose a structured interlock staircase surrounded by flower beds, or natural stone steps encased by our signature armour stones, the options are endless!